Tokyo, Japan, WPH Press, 5/30/17- Recently retired WPH supporter and Phoenix handball ambassador Sam Ortega traveled to Tokyo, Japan to visit his niece stationed in the military and had an opportunity to play handball in the vibrant Tokyo handball community. 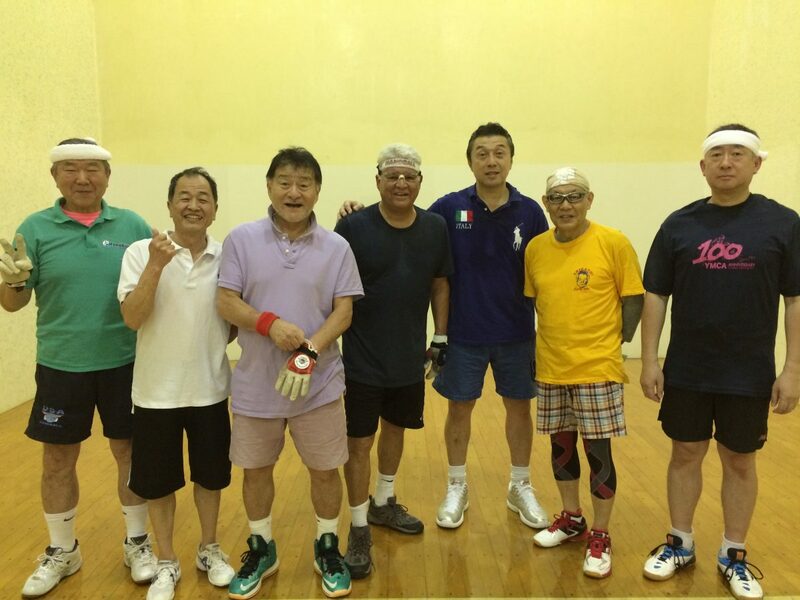 The Tokyo handball community boasts more than 100 regular players and welcomed the Arizonan for friendly games and international handball camaraderie. Sam discussed his memorable Japan handball experience below, in his words. Enjoy! If you are every in Tokyo and need a game you can get one in about three different places. 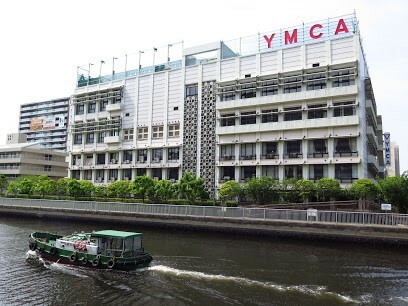 I was in Japan in April 2017 (vacation) and the closest one for me was the Tokyo YMCA Toyocho Wellness Center and the people to contact are John Dolan (USHA Japan ambassador) and main man the Honorable Shigeru Nobeta, who will set you up with a good competitive game. Other areas include the Sunday bunch players at the Tipness Sports Club in Miyazakidai, which is on the outskirts of Tokyo and the Gold’s gym in Yokohama. “ We have over 100 players altogether, and have had pro players stop by in the past, including Eoin Kennedy and Emmett Peixoto, as well as Danny Bell and Tyler Hamel,” stated Shigeru. “You can get games here any day of the week, depending on the time of day” replied John. Shigeru, who hands out brochures about the JWHA organization (Japan Wall Handball Association) at the YMCA describing the different types of games (1-Wall, 4-Wall), various balls/equipment needed for men and women, and pictures of local players in various hitting strokes – very organized. Shigeru also works with the women players in the 4-Wall courts using the big ball to teach them the fundamentals. All in all, there is a good community of handball players here who are dedicated to the game and love to play visitors. You can take a train to the YMCA, but the easiest is to hail a taxi which is very common transportation in Tokyo, because they are everywhere and will cost you about 1500 yen or $15 depending where you are in the city. Shigeru met me at the front desk at the YMCA and lead me to the locker rooms where you have to take your shoes off because no shoes in the locker room. There I met my opponent for the day, Mr Maeda, who spoke English very well and was very nice. After I dressed, you go up five flights of stairs (even though there are elevators) until you get to the courts. Everywhere in Tokyo you either go downstairs or upstairs to get somewhere and some can be rather steep. There you will find three courts total, two with glass back walls, and the third one with glass back wall and both glass side walls – pretty cool, we played on the former. Mr Maeda said this was his home court so we played on his court. We had a very competitive match and he was right, it was his home court and he took me in two games. Great workout, then we played doubles with three other players (me and Nakajima against Takei and Motegi) and had a fun game. These guys are in their 70’s, in great shape and played very well. Afterwards, I had to leave so I went down the five flight of stairs to the locker room to undress and then went up three flights to take a shower that was work out in itself. No wonder these guys are in great shape! It was truly worthwhile to make the stop at the YMCA and enjoy some handball during my vacation in Japan. Hope to do it again someday. Again thanks to John and Nobeta-San for taking the time set me up with a great time in Tokyo. Shigeru would like to invite all top players to their 29th National Singles tournament in November 2017. Names in Picture left to right.